Electronic Arts has signed a licensing deal for its library of original music that means you could soon be hearing familiar videogame tunes in movies, television shows, commercials and more. Videogame music - not the kind in Guitar Hero or Rock Band but original, "real" game music - just doesn't get much respect. It's been an integral part of the overall game experience for years, from the opening beats of E1M1 to the closing genius of Portal, yet in the eyes (and ears) of most people, gamers included, it's often overlooked as a sort of invisible background effect, like lettering in a comic book. The new five-year deal between EA and Extreme Music may not change that perception, but it will at least get some of that music out to a wider audience. EA's library of more than 2000 "music cues" from various games will now be represented by Extreme Music and will be available for placement in feature films, television shows and more. "We felt that Extreme is a way to create an extremely aggressive campaign to relicense these songs because we feel these are very reusable in the world," said Steve Schnur, EA's worldwide executive for music and music marketing. Much of the music probably won't be instantly recognizable outside its natural environment, even to die-hard gamers; "I Left My Heart in Med Lab 3" playing in the background of Ghost Whisperer, for instance, isn't the sort of thing most people are going to pick up on right away. 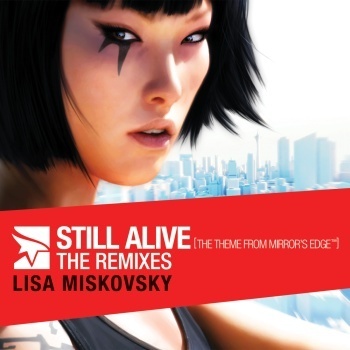 Some songs, however, like Lisa Miskovsky's rendition of "Still Alive" for Mirror's Edge, are far more distinct as stand-alone tracks and more likely to stand out on their own merits. Licensing deals aren't exactly hot news but it is nice to see game music getting a little love, even if it's only as another revenue channel for EA. And as more and more companies focus on the possibilities of game music as a distinct (and money-making) aspect of the entertainment experience, I expect we'll see the number of licensing deals like this increase dramatically. Hey, if Bob Seger can sell Chevy trucks, why not Ari Pulkkinen?